My daughter is approaching school age, and consequently she is more frequently encountering kids who don’t have food sensitivities and who don’t eat the way that we do. From “Lunchables” to bottles of rainbow-colored sugar water to packages of 20-ingredient cookies and pastries, a lot of today’s kids eat little more than highly processed, artificially colored junk all day. And this “food” is not only nutritionally bankrupt, and full of GMOs and other scary additives, but it’s also packed with allergens that can make those with food sensitivities quite sick. But to my 5-year-old, it looks like a smorgasbord of brightly colored, cartoon endorsed, sweet-smelling Temptation. What I ended up with was a guilt-free gummy candy recipe that is Paleo-friendly and GAPS legal, and relatively low in sugar—or you can use stevia to sweeten it. 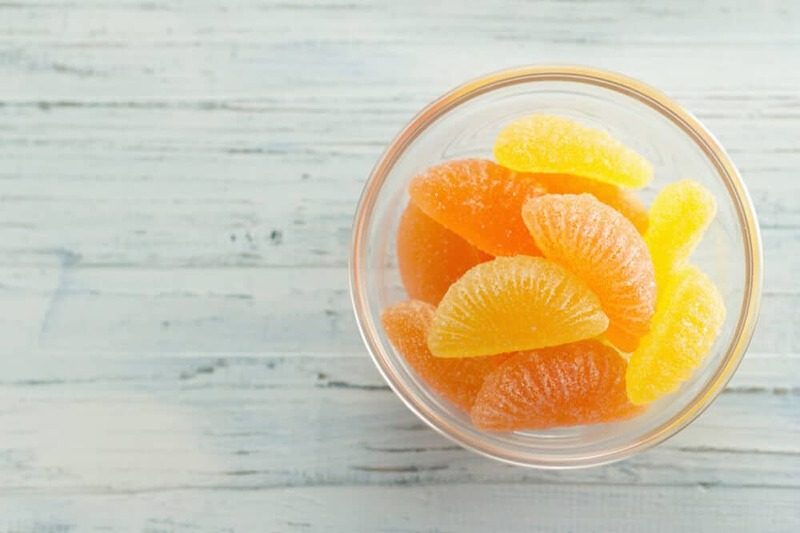 These candies also have the nutritional goodness of real fruit and full-fat coconut milk for growing bodies, plus the gut healing benefits of gelatin and probiotics. High quality gelatin not only contains amino acids and colloids that can improve digestion and nourish your intestinal lining, it is also high in amino acids and proteins which can feed and strengthen your skin, hair, nails and joints. We make a point of using a high-quality gelatin from pasture-raised cows that have never received hormones or antibiotics to get the most out of this nutritious ingredient. These candies turned out so delicious that my whole family can’t get enough of them now. And they are so easy to make, I don’t mind obliging them! 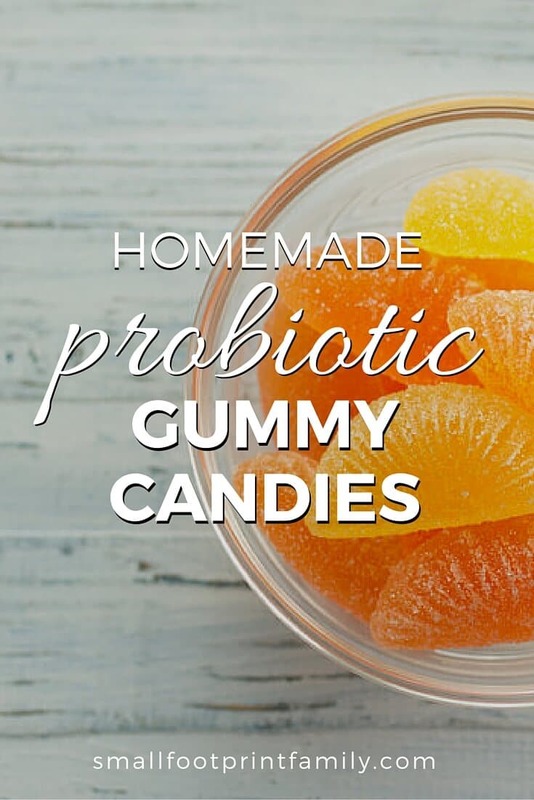 This gummy candy recipe is low in sugar with the nutrition of real fruit and full-fat coconut milk, plus the gut healing benefits of grass-fed gelatin and probiotics. 1 cup coconut milk Don't use drinking/cereal coconut milks; they are too thin. In a saucepan, heat the coconut milk, sweetener and salt until blended. Bring to just below a boil. Sprinkle the gelatin over the top of the hot mixture a little at a time, and whisk in until thoroughly dissolved. Remove from heat and allow mixture to cool down to about 105-110 degrees F. This is important because you don't want to kill the probiotics. Once the mixture has cooled, thoroughly mix in the fruit purée/smoothie, vanilla extract, probiotics and food coloring, if using. Pour into candy molds or a cake pan and refrigerate about 30 minutes to an hour, until solid. Remove candy from molds or cut into small squares and store in a jar in the fridge. Thank you for posting this recipe! I absolutely love candy and have been searching for a healthier alternative. Would you be able to share the actual ingredients you used. Ex. specific brand. I have never bought or used grass fed gelatin and would be interested to see what you used. Thank you again! I will let you know how I made out and if the kids enjoy them as well. The brands are linked in the ingredients. I hope you enjoy the recipe! I’ve made several different recipes and they all come it like hard jello. How do these compare to the fruit snacks from the store. As you probably could guess from the ingredients in all those recipes, homemade fruit snacks are hard gelatin. You can’t make them like the ones from the store because home cooks don’t have access to the chemicals and industrial machinery used to make that junk. Homemade fruit snack recipes are meant to be a similar, but significantly healthier, whole-food substitute. Is completely wrong and misleading. Gelatin, where it comes from is a set of repeating amino acids of Glycine-X-Y where X or Y is usually a Proline amino acid. Yes, it is involved in the structure of collagen, but when gelatin enters the stomach of pH ~ 1-2, it denatures and the respective amino acids are broken down to their individual residues. Thinking that using grass fed gelatin or any other gelatin for that matter will some how improve your skin, hair, nails, etc. is completely misinforming the consumer. Furthermore, glycine is widely accepted as a nutritionally low amino acid. Gelatin is absolutely NOT a nutritious food. The gelatin and gelatin hydrolysate I recommend are whole protein products that contains a full spectrum of amino acids, including proline and glycine, the two major amino acids involved in collagen synthesis. Proline and glycine have many beneficial effects, including assisting with digestion and calming the nervous system. Furthermore, there is evidence that various forms of gelatin and gelatin hydrolysate can provide benefits to the skin,joints, joint-related conditions, and bone conditions. There is more scientific evidence for the benefits of consuming gelatin in this well-cited article. Anecdotally, women have been swearing by bone broth and gelatin for healthy nails, skin and hair for eons. The complete protein, grass-fed gelatin and gelatin hydrolysate I recommend are indeed healthy supplements to a whole food diet. We decided to enrich our products with probiotics. Our products are candy cooling regime. It has to be when the candy is less than 90-100 degrees, or you will kill the probiotics. Do you break up the capsules before you put them into the mixture? Trying to understand how to incorporate the probiotic. Yes, you mix the powder in. Just made them! They are amazing, great idea, thank you so much. Im planing to serve them for my boy’s birthday, how long an they last outside in the room temperature? Would they melt or will they keep the shape and not stick? They will hold the shape at room temperature, but might melt in heat. It’s best to keep them refrigerated until ready to eat, simply because the ingredients are perishable. Hi, how long do the gummies last ? Does it depend on the ingredients ? Thanks for the ideas. Depending on the ingredients a week or two in the fridge. They are made with perishable whole foods! Would florastor (for kids) probiotic packets work instead of the probiotic capsules? Give it a try and let us know! I don’t have probiotic capsules, but I have goodbelly juice(a probiotic juice), would that work? You could give it a try! It might be a little high in sugar comparatively, but let us know how it works out for you! 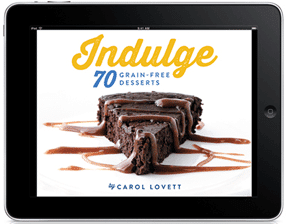 May I print your recipe and give it to a friend if I quote your site at the bottom of the page? Yes, please use a link to the recipe page. Thank you! Thanks for this recipe! I can’t wait to make these for my girl. If you use the pan method, how do you keep them from sticking together in the jar? I haven’t found that they stick at all. Make sure they are very firm and you shouldn’t have a problem. How many does this recipe make and how many is usually a serving? Thanks for this. I’ll surely be making this for my 6 yr old daughter!!! It depends entirely on your mold. There really isn’t a serving size since they are made from whole food smoothie, but use your discretion as to how much fruit sugar your child can handle. My kids can’t have coconut. Is there something else I could try? You can make these with any smoothie recipe. You just want it to be thicker than juice alone. Maybe this is a silly question. Does the alcohol in the vanilla extract kill the probiotic? No. You can also use alcohol free vanilla extract if you are concerned. Here’s a recipe for it! You can put in anywhere from a teaspoon to a tablespoon. As vegans, do you think this recipe would work with vegetable based gelatin? I don’t know. Why don’t you give it a try and let us know! You could try it with agar-agar or chill over powder from Mary Jane’s Farm ( I’ve been wanting to try that myself). You’d have to experiment with the amounts. I think that because agar is a starch, it might not do as well with being stirred up during the setting process (letting it cool and then adding probiotics). Still, you could use it to make juice gummies. Some kids might benefit from the slight laxative effects of agar. Wow. I’ll be trying these this weekend!! Brilliant! I am going to get those candy molds ASAP. Could I use my homemade kefir or whey drained from that for yogurt starter culture? Which would be a better sub? So what do you use for yogurt starter culture? We culture coconut milk into yogurt using the same probiotics I use for the candy. Here’s how we do it and where to find non-dairy starters. Hi! Just wanted to let you know that your candy recipe is featured today on Allergy Friendly Lunchbox Love as the submission that received the most views last week. Thanks for coming to the party! YUM! My husband is on a paleo diet, and when I told him I found a recipe for gummy candies that would fit in his diet he snorted derisively. Then I read him the ingredient list and he rescinded his snort. Can’t wait to make these! Ha! That’s funny! I hope he likes them! Congrats on your feature on Wildcrafting Wednesday! I’m sharing this! I hope to make these this weekend! Thanks so much for sharing them with us! Thanks for sharing your post with us! I featured them on my blog! 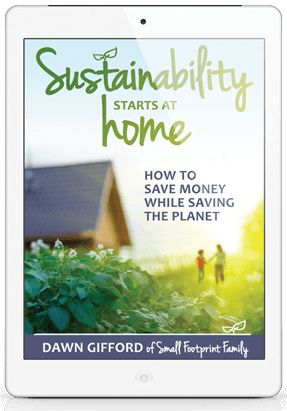 Please join us again today (yeah I know it’s a day late… linky issues) at Eco-Kids Tuesday!! Those look like perfect gummy candies! What a great idea to add probiotics. Thanks for sharing this at Gluten-Free Wednesdays. Awesome recipe! Thanks for sharing your post on The HomeAcre Hop! Hope to see you again this week! Can I use whey as a probiotic? I don’t know if this is a stupid question…. It will probably change the taste, but give it a try and let us know how it works! These can be a fun delivery method for any type of probiotics, so the culture you choose is up to you! At least a week or two, but they don’t last long enough in my house to know if they’d go longer! These sounds great even for us grown-up folks! Thanks for posting. How very clever (and delicious)! My son is 4 months old now so this would be a recipe for the future…he is on Baby Life probiotics powder -twice daily (we mix it with breastmilk for now until he is at least 3. Doctors orders. Looks great! What sort of serving size is suggested? That’s up to you! I give my 5-year old a few pieces at a time, but my candies are a little on the big side. This looks so awesome! Thank you a ton for sharing this. Great recipe though not Vegetarian. Could you make it with Pectin instead? . Thanks! Give it a try and let us know how it works! Have you tried it, Cindy! These look great. I feel so lucky to learn all these great ideas and recipes now while my little one is only 1.5 years. So when she does start to get exposed more I can be proactive. Thanks for sharing. You’re kidding me! What a great recipe! Thanks for sharing. I’ll be making these for sure! I’ve seen similar gummies, but never with probiotics added. What a great idea! Wow, I’ve been thinking about making these for a while, do you think they taste good with the stevia? Hope you’ll link up this post to H2W this week! I don’t love the stevia version compared to the honey or maple syrup, but if you use a good brand of stevia they are alright. You will need to adjust the stevia to suit your taste though. Different brands taste differently, so start with less, and add more to taste. Stopping by from Growing Home. This is such a great idea! We don’t do fruit snacks, but for some reason they seem to be a snack that many moms actually believe to be “healthy” when they are basically just fruit flavored sugar! Because of this, my little ones see friends eating them all the time. I would love to make some fruit snacks that actually have fruit in them, and the addition of probiotics is genius! Thanks! Great idea! I have everything to make it in the house accept the coconut milk. Thanks for the efforts in making this. These look delicious! 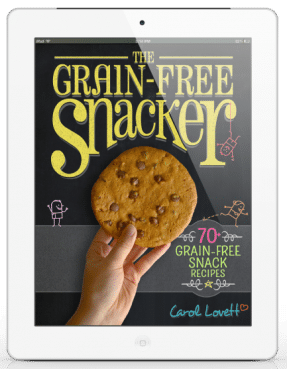 I love finding healthy homemade snack recipes, thanks for sharing. What a fantastic idea! Would look great with a few different colours, I guess green veggies, maybe blueberries and perhaps lemon rind for a yellow batch? What is the texture like on these? I made some today with orange juice, honey and gelatin and they were so gummy. It only had 4T to 2/3 cup liquid. I am wondering how these willmbe with that much gelatin. None of the kids liked the texture. Closer to a gummy bear or to fruit snacks or somewhere in between? I can’t wait to try this…my daughter loves gummy candies so I’m very excited to find this “real food” version. Thanks for the post! Do you know the amount of probiotics in each serving and the other nutritional content? Also was curious if mattered if the smoothie had dairy in it and at what thickness would it work best? Sometimes my smoothies tend to be a little runny 😉 Thanks! Hi! This is great. I did have trouble, however, following the link for the yogurt starter. I got to Village Green Marketplace, clicked on Yogurt…but it took me to another website. What is the name of the yogurt starter culture that you use?